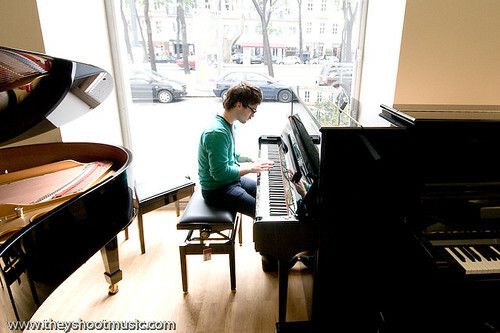 Chris is lost in his music. He doesn’t see people passing by outside although they are hardly two meters away, only separated by the window pane of the Viennese Steinway piano store. A policeman gets out of his car to do some legal act, a delivery man unloads his van, everything looks like the normal tide of events in Vienna. But you can see the surprised expression on people’s faces when they pass the scenery. 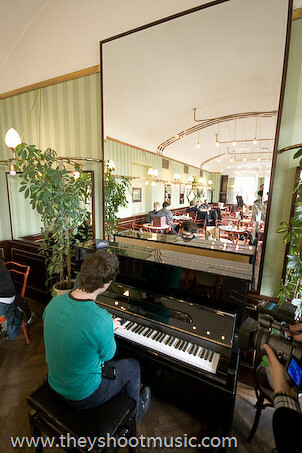 For a second they get derailed from their routine by this graceful young man from New York in his green pullover, sitting at the piano and being filmed while performing a song. 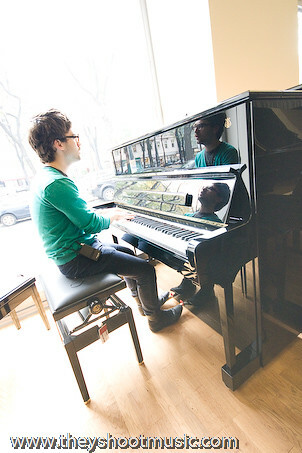 No one stops, but everyone hesitates, pauses for a moment, while Chris plays the new song “Hands On The Radio” and “Not Nice” from his 2006-album “Music For Tourists”. 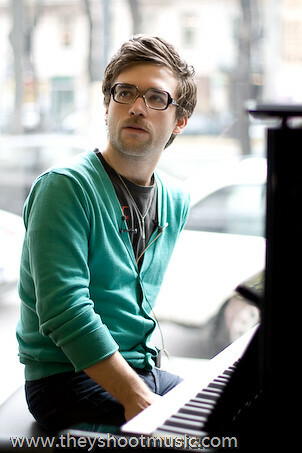 After the first one he amusedly admits to have spit on the piano, but we didn’t find a proof. 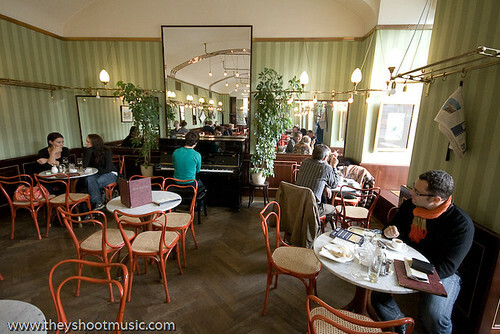 For another song we move to a classy Viennese café, where there are no more window panes between Chris and his audience. The few people around get to hear a very emotional rendition of “We Don’t Try”.